Comp-Cal, Inc. was founded in 2003 with more than 15 years experience in graphic design and automotive custom artwork. Comp-Cal is family owned and operated. That is why our goal is to provide our customers with the best vinyl graphic products and services possible. We strive to supply Professional Services at Competitive Prices with over 30 years of combined experience in the industry. Comp-Cal's founder, Brian Wittkamp has been involved in racing for more than 30 years and has been designing creative custom artwork for as long as he can remember. Wittkamp's racing career started in 1985 with Quarter Midgets in Meriden, CT's Silver City Quarter Midget Club. Eleven years and many feature Victories later took him to a 1996 Truck Series Track Championship at Riverside Park Seedway in Agawam, MA. Along the way he designed his own paint schemes for whatever he raced winning countless "Best Appearing" Awards. 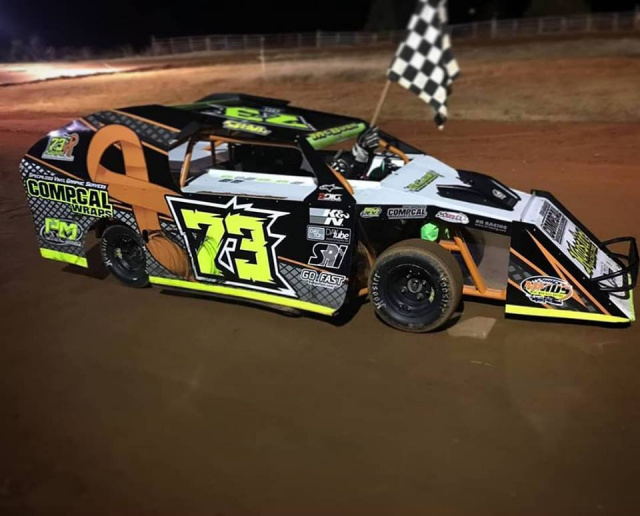 He also designed custom paint schemes and graphics for his family's local businesses, U.W.E. Uwe Wittkamp Enterprise and HELLER'S Auto Service in Danbury, CT. 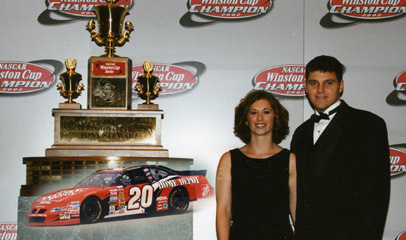 In 1998 Wittkamp and his family moved to North Carolina to utilize their skills in NASCAR's top level of competition, Winston Cup now known as Monster Energy Cup Series. Wittkamp's father was one of Petty Motorsports top fabricators and Wittkamp himself worked full time for 4-Time Cup Champion Joe Gibbs Racing from 2002 until the end of 2008. He then decided it was time to focus only on operating Comp-Cal. 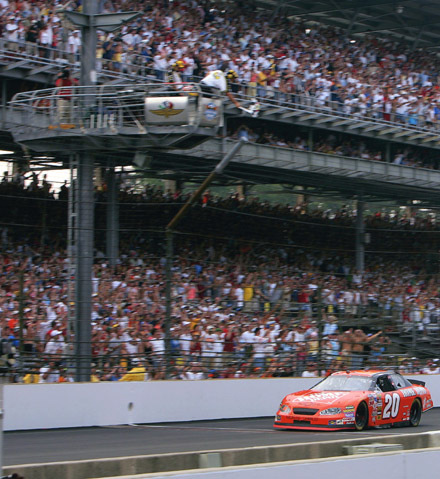 Wittkamp's talents as a fabricator have helped him be a part of 2 NASCAR Cup Championships, 2005 and 2007 Brickyard 400 Wins, and more than 22 Cup and Xfinity Series Wins, but his true passion lies with the artistic part of racing. That was the reason for founding Comp-Cal in 2003. His passion for the graphic arts and competition has kept Comp-Cal going for more than 15 years.